Home / Orthodontics / What are orthodontics ? Orthodontics are an area of medical expertise consisting in the moving and aligning of teeth and jaws to position them with the help of an orthodontic appliance. This type of treatment is suitable for children, adolescents and adults (Incongnito lingual and Invisalign systems). The orthodontic treatment will help to improve the facial balance as well as the following functions: chewing, swallowing, breathing and phonation. The alignment of the teeth will allow you to have a beautiful smile and at the same time will enable you to maintain perfect oral hygiene, avoiding cavities and bleeding of the gums. 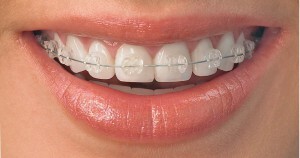 There are two types of orthodontic treatments : braces and aligners. Braces are small brackets attached either to the external side of the teeth (conventional orthodontics) or their internal side (lingual orthodontics). 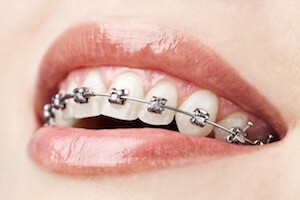 They are attached amongst each other by an arch wire that will allow to control the movement of the teeth. The arch is regularly replaced to adapt to the movement that we wish to achieve. Aligners – transparent, almost invisible and removable. They will be replaced every two weeks. Each aligner is manufactured individually and tailor-made for your teeth. Your teeth will move little by little, week after week, until you need to move on to the next aligner. Invisalign : invisible aligners available at Dr Lebahar’s practice in Thonon-les-Bains.